The studs experienced resident veterinary surgeon Gerald Moynan M.R.C.V.S. oversees all veterinary matters and works closely with the managers in the care of the animals on the stud. The stud laboratory which has a full time laboratory technician under the direction of the vet carries out routine haematology, bacteriology parasitology and processes x-ray images. 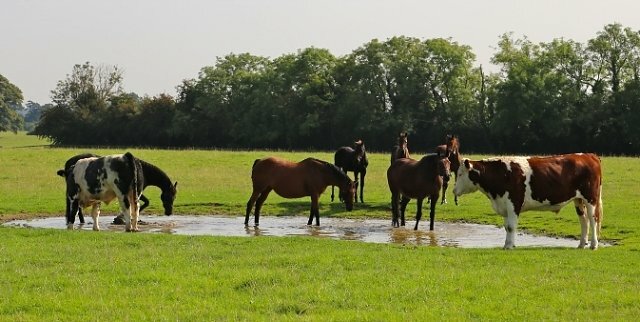 This facility is a valuable aid in the early detection and treatment of the horses, particularly the young foals. The stud is self sufficient in this area producing both hay and haylage. This activity, together with fattening cattle and paddock sweeping form part of our pasture management. Straw which is our principal bedding material is sourced locally.